Successfully Added 9.2 inch Waterproof Widescreen LCD Monitor - NTSC to your Shopping Cart. 9.2 inch Waterproof Widescreen LCD Monitor - NTSC. 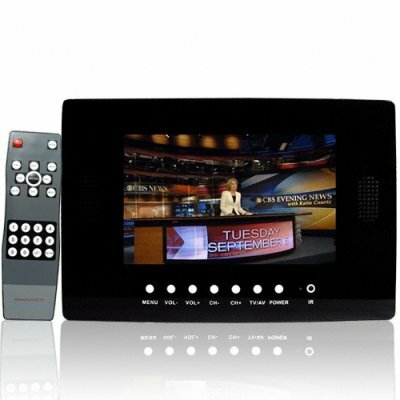 Never miss the big game, the news or your favorite soap ever again with this 9.2 inch wide waterproof LCD screen for bathrooms, saunas, and boats. Featuring a sharp 16:9 aspect ratio and a waterproof remote with caddy this TV will certainly pimp out any bathroom, sauna, bar or boat in style. Alternatively this unit could also be used in a factory or workshop environment with dust and moisture. Certainly a money spinner, start re-selling these now to millions of eBay customers and take advantage of Chinavasion's drop-shipping service or simply order one for yourself and enjoy movies and TV in the comfort of your own bathroom.